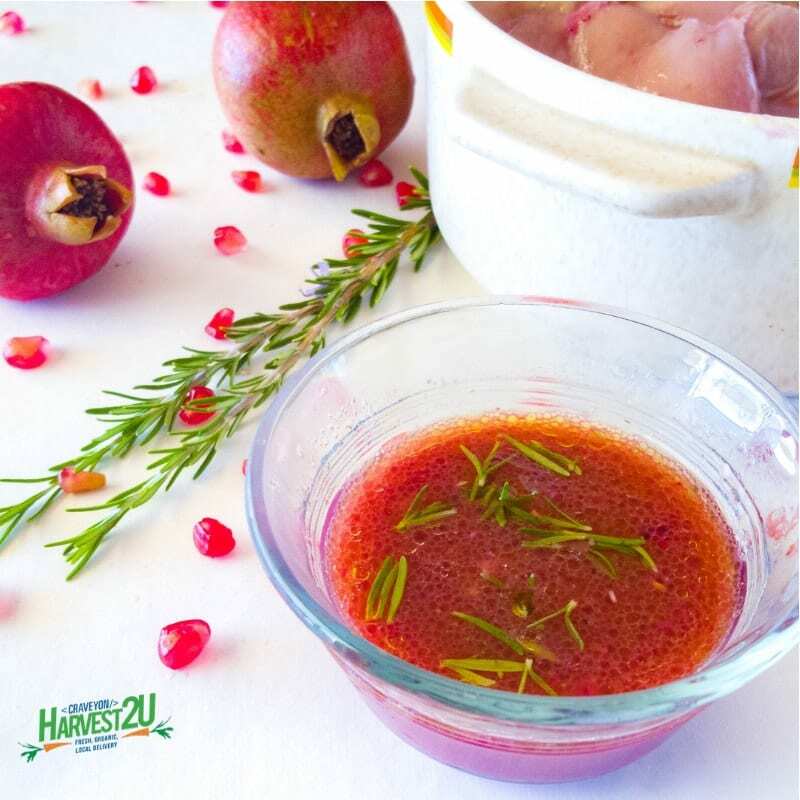 This simple pomegranate marinade gives a powerful antioxidant boost to chicken, fish, pork, or lamb. A ½ cup of arils, the red pods with the white seeds inside, offer 15% of the daily recommended vitamin C, 18% of vitamin K and 14% of the fiber. Pomegranates are also a great source of folate, copper, and magnesium. Combined with heart-healthy garlic and olive oil, this marinade adds plenty of nutrition as well as a beautiful pink hue. Whisk all ingredients together and marinate your choice of chicken, pork, lamb or fish for at least 1 hour (no more than 12 hours, especially the fish). Grill, roast or broil as desired.